They say everything looks faster with racing stripes. 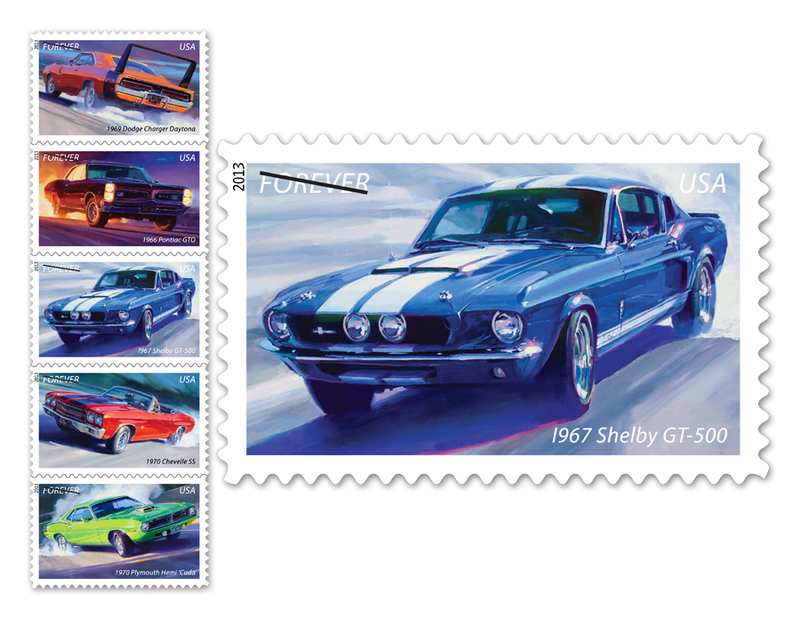 That’s good news for the U.S. Post Office now that the feds have included muscle cars on the list of cultural icons memorialized in a stamp series. You have your choice of five classics: 1967 shelby GT-500, 1966 Pontiac GTO, 1970 Plymouth Hemi ‘Cuda, 1970 Chevy Chevelle, and 1969 Dodge Charger Daytona. The collection, designed by Tom Fritz, is the third stamp series to focus on cars and is available now. Click here to buy online.